What does EAP-TTLS stand for? EAP-TTLS stands for "Extensible Authentication Protocol-Tunneled Transport Layer Security"
How to abbreviate "Extensible Authentication Protocol-Tunneled Transport Layer Security"? What is the meaning of EAP-TTLS abbreviation? 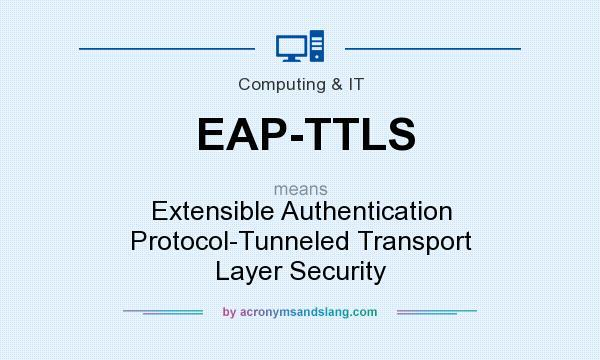 The meaning of EAP-TTLS abbreviation is "Extensible Authentication Protocol-Tunneled Transport Layer Security"
EAP-TTLS as abbreviation means "Extensible Authentication Protocol-Tunneled Transport Layer Security"